With a rich tradition of love and care, Fronditha is a charitable community organisation that has been providing aged care services for Greek elders and their families in Australia since 1977. With exceptional residential care facilities and community services, they provide choices and tailored care plans to empower elders to live the way they want, and enjoy what they love. Fronditha had a unique offer that had successfully met the needs of the Greek community for generations. However, the community and its needs were changing. 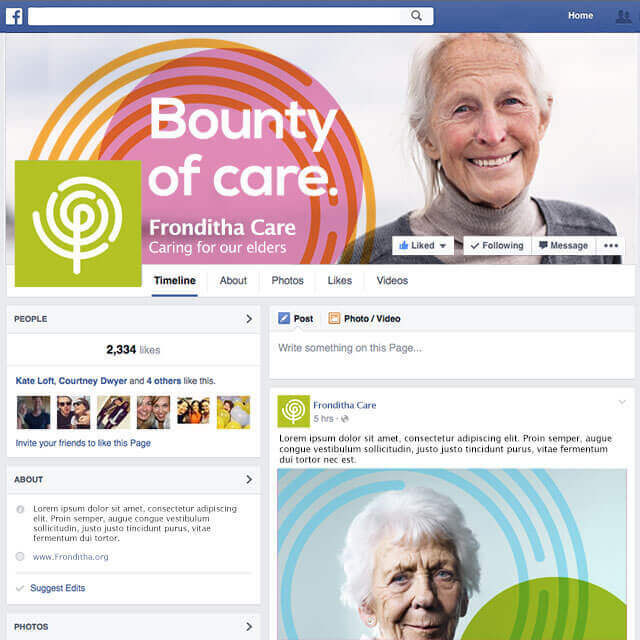 The organisation needed to build on Fronditha Care’s strong reputation within the Australian Greek community to create a leader in the provision of aged care services for a broad multi-cultural audience in the next 10-20 years. Greek food, culture, language and spiritual traditions were all crucial to the offering but to remain relevant to future generations, Fronditha Care needed to be more than just a Greek facility. The brand needed to be relevant to second and third generation Greeks as well as the diverse multicultural community. This required finding a delicate balance of building on cultural heritage to create a more contemporary, progressive and inclusive brand that could share the tradition of love and care of elders for all Australians. It was also critical that we engaged and took staff and volunteers across Fronditha’s various facilities along the journey as they were critical to delivering the brand. 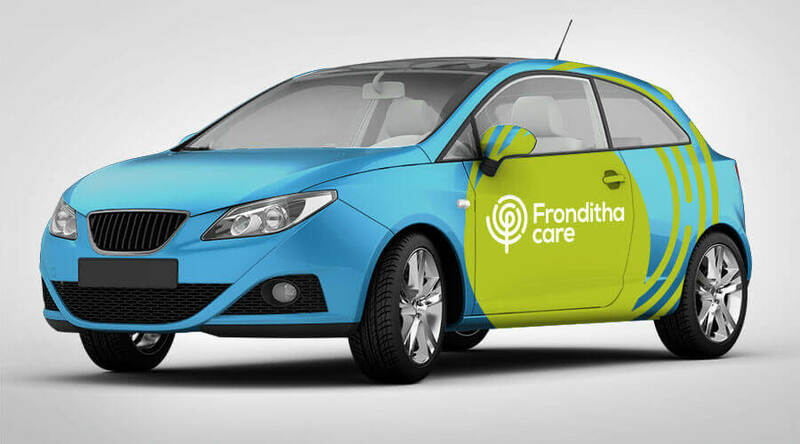 To uncover Fronditha Care’s true brand differentiation, we conducted an extensive brand and competitor review and interviewed staff and volunteers across their facilities in Victoria and NSW. 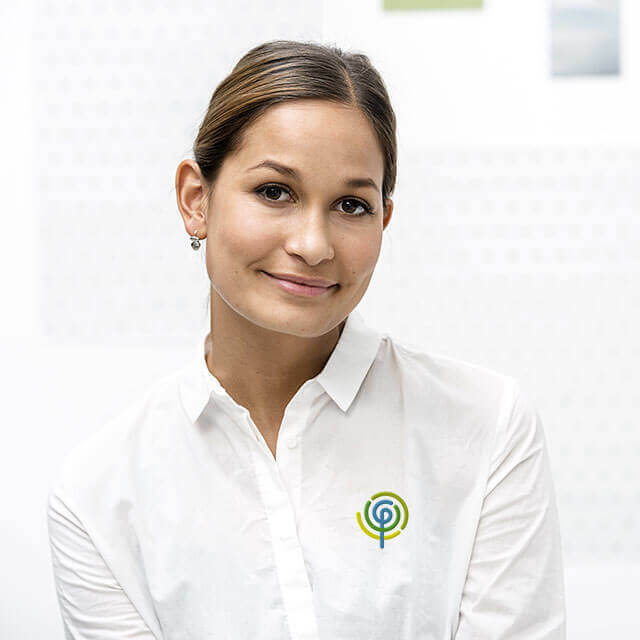 We discovered that Fronditha Care not only provided a unique offering for the Greek community, but they also had a deep ethos that was a powerful differentiator that could guide the organisation into the future. 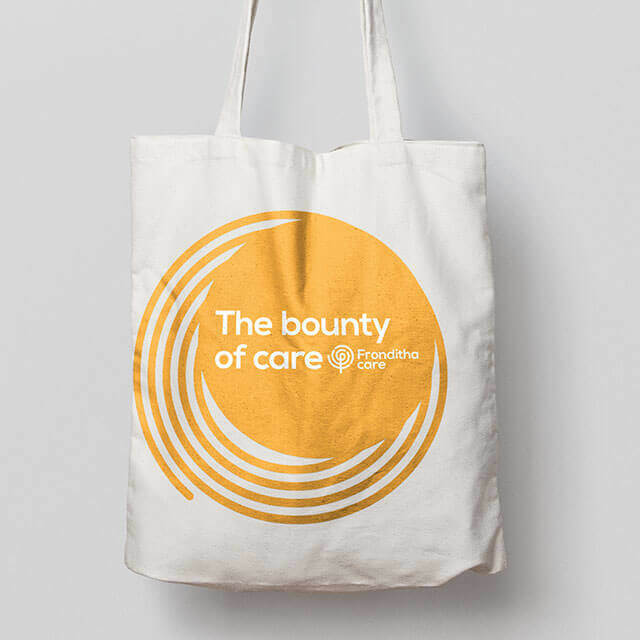 The new brand essence, ‘Bounty of care’ builds on the brand’s heritage to create a unique brand belief system that’s all about going beyond physical and health needs and embracing a culturally rich environment that inspires celebration, fosters belonging and enhances well-being. In considering how the brand could evolve and be relevant for multicultural audiences in the future we needed to assess the brand name and develop a brand architecture strategy. This involved stress testing different scenarios to keep Fronditha Care as a Greek focused brand and options to create a group with different brands, to appeal to different cultural backgrounds. The name Fronditha means care in Greek and was loved by their current audiences. There was some concern that the name was difficult to pronounce and may be viewed negatively by non-Greek speakers. However, our audience research suggested that the uniqueness of the word in the industry and the meaning behind the word provided authentic brand differentiation and added to the brand’s story. The new identity significantly evolves the brandmark whilst also keeping the heritage at the heart. Starting with the Greek Phi at the centre, a new tree icon symbolises being at the heart of community and family. 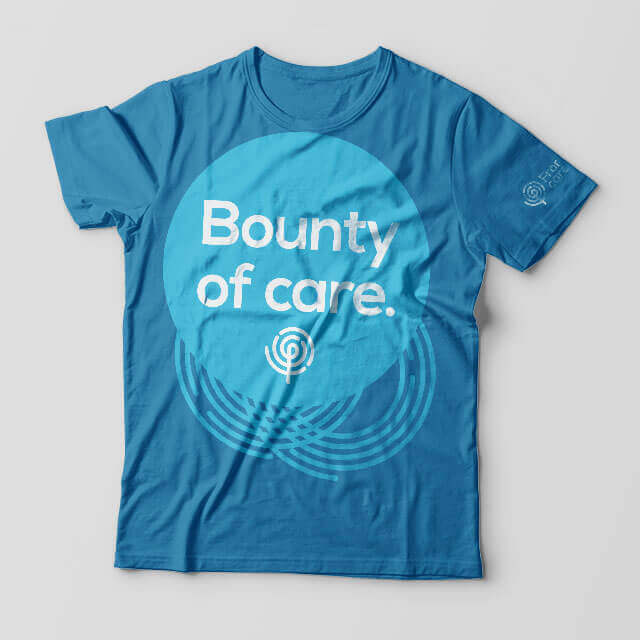 It also beautifully symbolises the brand essence of the bounty of care rippling out into the community. Accompanied by a strong friendly sans-serif font, the identity uses vibrant colour combinations and graphic ripples to create a unique, engaging visual identity that celebrates a soulful, culturally diverse and endearing leader in the sector. 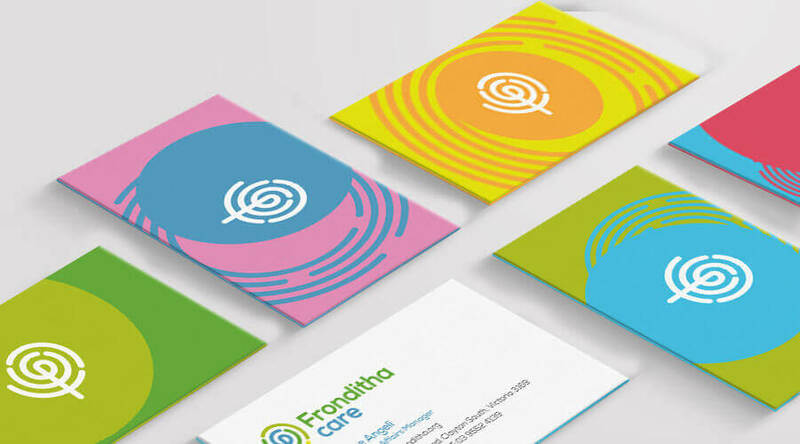 We also created a flexible brand identity system that Fronditha Care can use across their different facilities and services. The brand can dial up or down the organisation’s Greek culture and heritage as well as showcase the organisation’s move into more aged care services in the community as well as providing a home for elders. The research that was undertaken was very thorough and brought to the foreground the real ethos of the organisation and how it was different to others in the sector. The CEO loves the brand proposition so much he is getting it framed for his new office. Truly Deeply really understood who we are and the challenges we face. The roll out of the new brand and people's reaction to it has been extremely positive.